While looking for examples of rainmeter clocks I found this. Some really cool rainmeter skins. I dl'd 7 of them. 4 out of the 7 I couldn't use. One was way too big, took up nearly the whole screen top to bottom and everything ground to halt. Another was set at the wrong time, either 5 hours behind or ahead so it went. The other 2 weren't properly created in rainmeter as a rmskin. That one was a disappointment. It was a really good SteamPunk skin. The 2 I have on my screen are simply circle and Scroll. 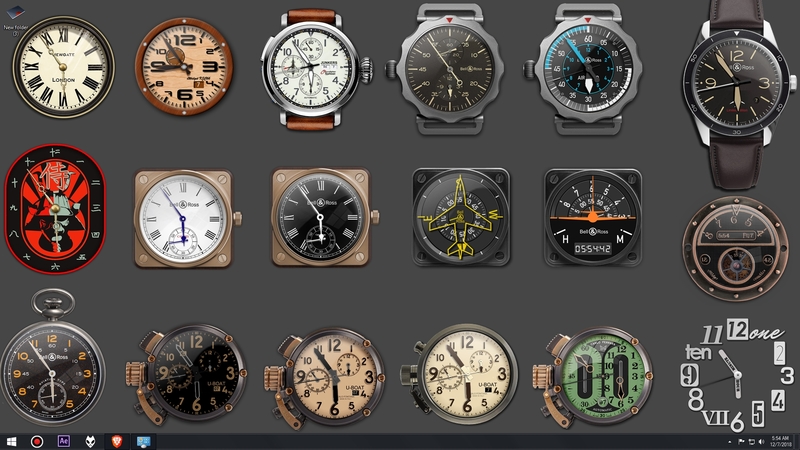 I have made rainmeter clocks but I much prefer making xWidget clocks. They are 10 times easier to make and have better features, resizable is one feature I really like. These are some of my xWidget clocks that I made. 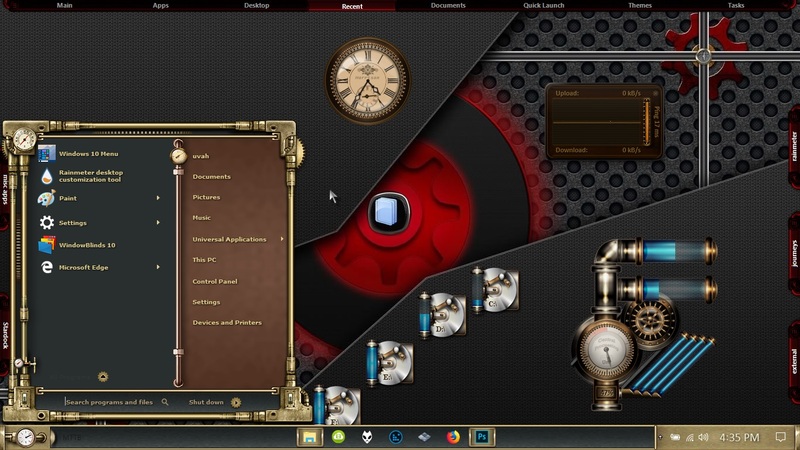 Ross, if you ever decide that you want to learn to skin xWidget I can guide you through it, in a lot of ways it is more similar to skinning sysmetrix than rainmeter and I think it is even easier to skin than sysmetrix. There is no ini configuration to mess with. Thanks Don, I can help. I just want to point out Ross that there is a free version and the pro version, the only difference is that there are some widgets on the xwidget site that need the pro version to download. If you want lots of free widgets you can get them at deviant art or make them yourself. All the new widgets uploaded to deviantart by JimKing are made for the pro version so you are best off looking at widgets that are about a year old. All my widgets are free and there are a few other skinners that offer free widgets.